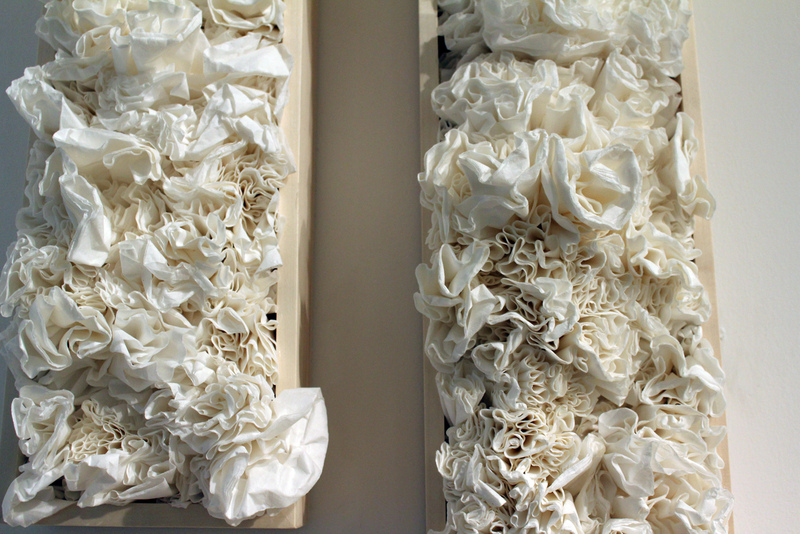 NEW YORK—Jessica Drenk transforms everyday objects into organic works of art. 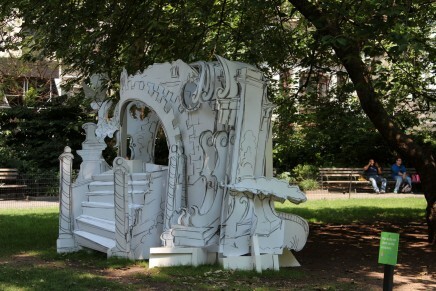 Her unique sculptures appear to be plucked from nature. 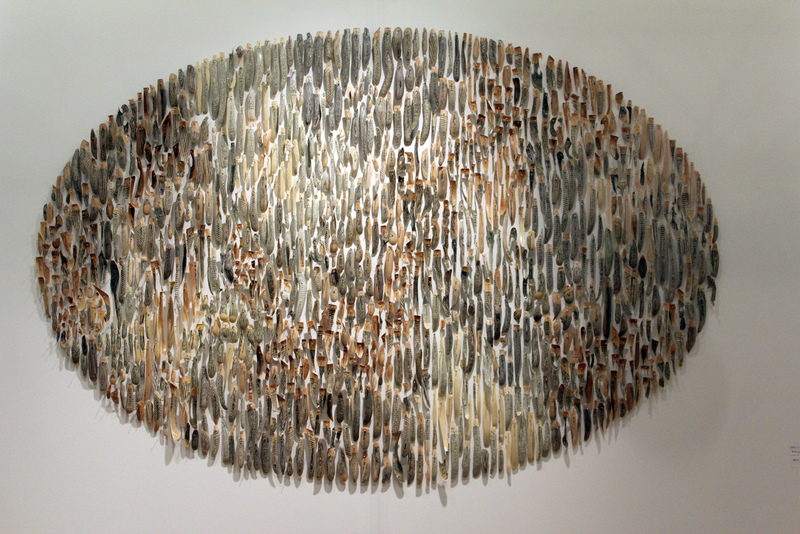 At the Pulse New York contemporary art fair, Adah Rose Gallery of Kensington, Md., exhibited several of her creations composed of pencils, coffee filters and books. 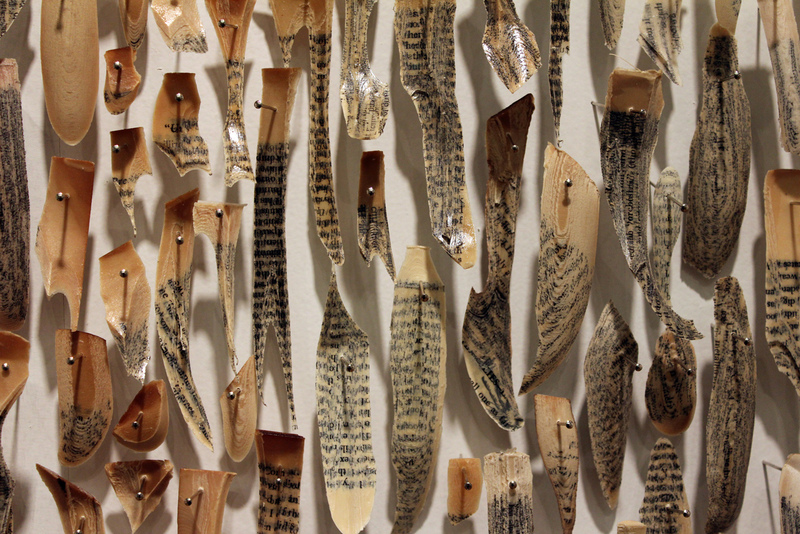 An oval site-specific wall installation looked like hundreds of pieces of scrimshaw (carved bone or ivory) but in fact was composed of pages from a books. To create what could be mistaken for archeological finds, Drenk immerses entire books in wax until they petrify and then pulls apart the pages which naturally break into pieces. 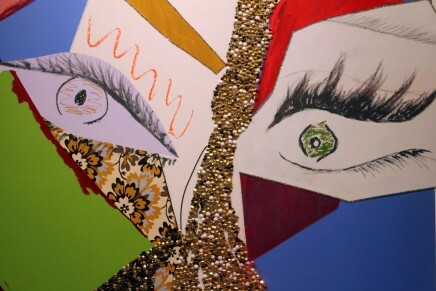 According to the gallery, she has tried several installation approaches and has found the oval configuration to be the most attractive. 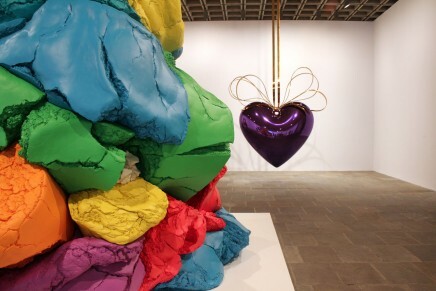 Drenk’s work was on view at Pulse New York at the Adah Rose Gallery booth from May 9 to May 12, 2013. 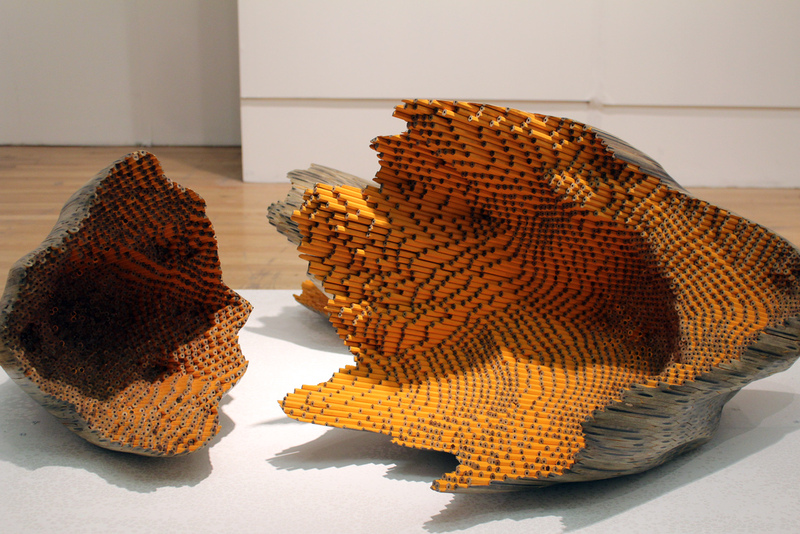 Alternative view of “Implement,” (pencils). 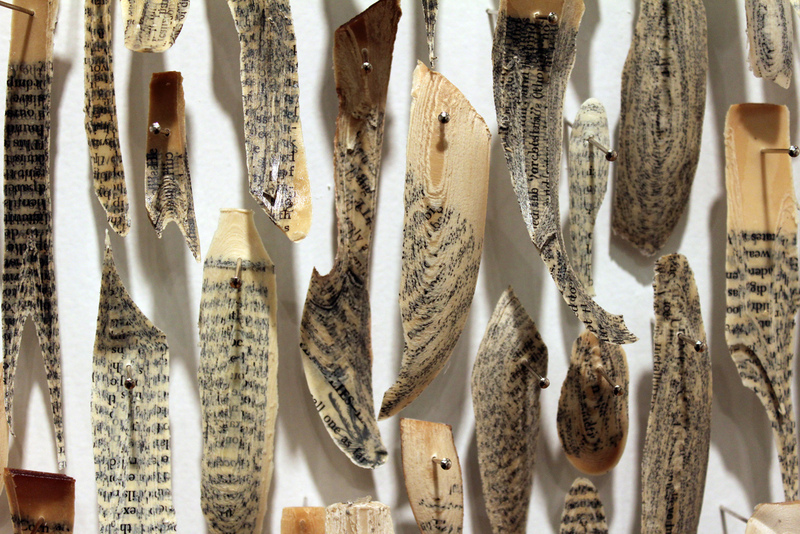 Detail of “Bibilophylum,” (books, wax, pins). 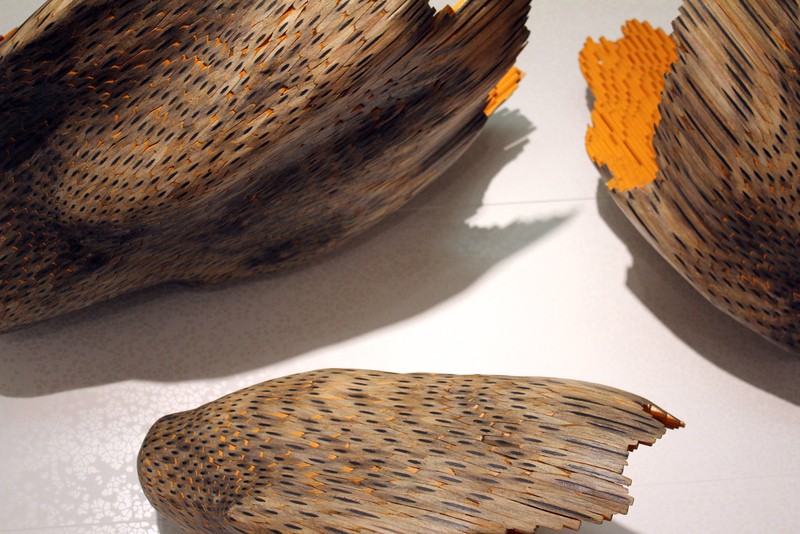 Detail of “Membria Varius,” (coffee filters in wood).